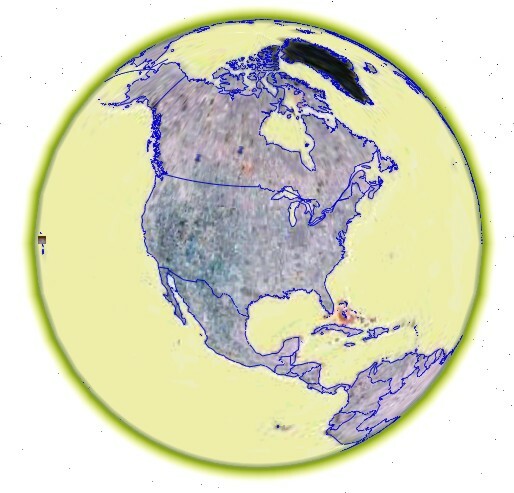 The goal of this experiment is to scope, design and build as large a connected grid of Parallax Propeller based 8 core controllers as possible. All in the interest of understanding parallelization of hardware and software and how this will help me better understand concurrency issues. 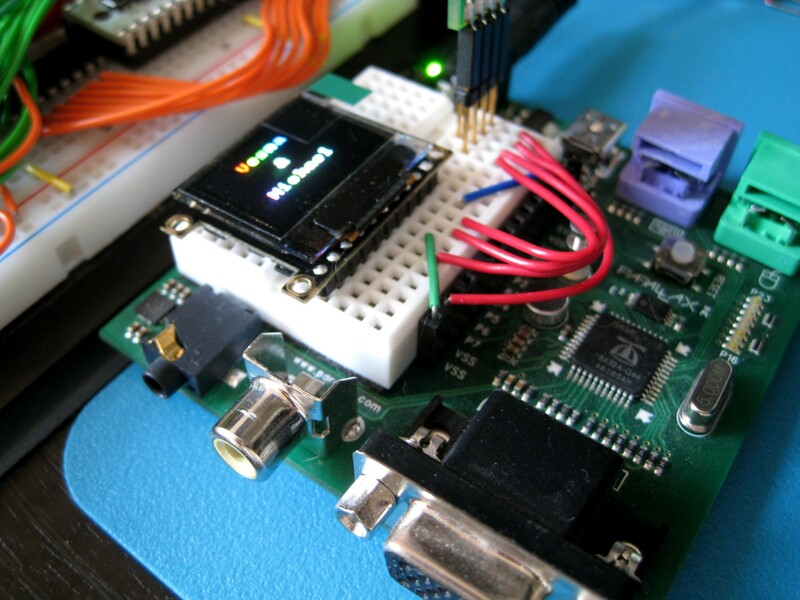 The application will initially be an implementation of cellular automata because of its simplicity and ease of mapping to a cluster of connected processors. I just received this excellent display from 4d Systems in Australia - it is full development system containing 8 processors, an OLED display and a uSD card reader. Note: I needed to reduce the timing on the original uOLED-96-Prop-Demo_V4.spin drivers software distributed. 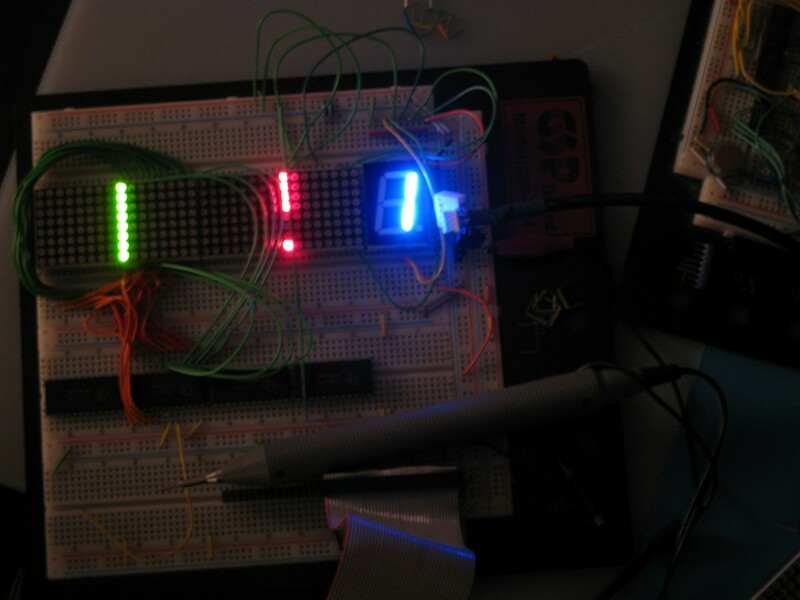 Changed _CLKMODE from PLL16X, 8_000_000 to PLL8X to get display working. 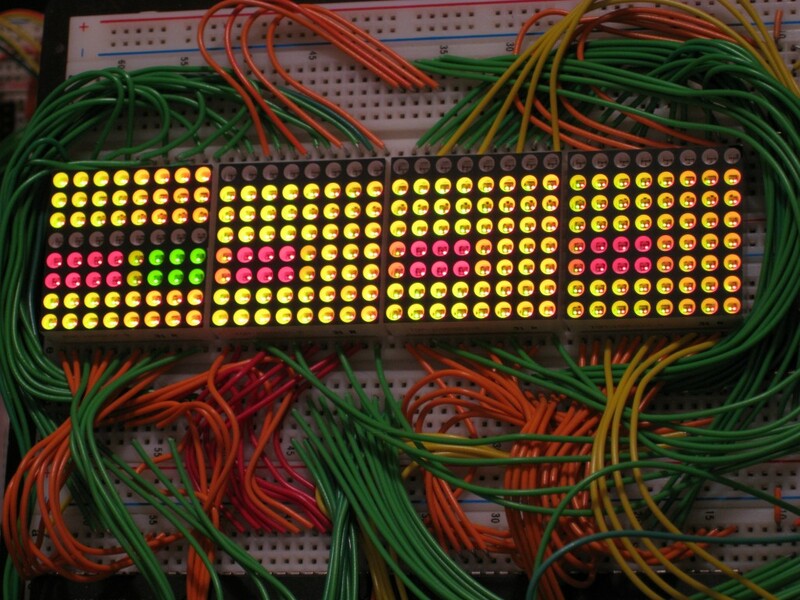 This LED display board based around a Parallax 8-cog Propeller chip is used to show real-time stock quotes courtesy of Google Finance on 24 (3 lines of 8) 7-segment displays. 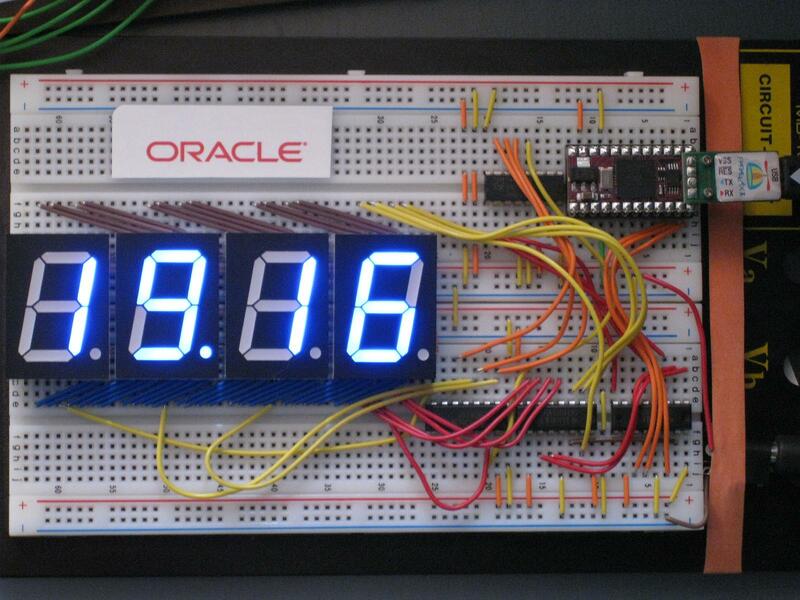 This display runs on a Parallax Propeller propstamp (Basic Stamp compatible) 8-processor microcontroller. The interface is via USB from a host PC. 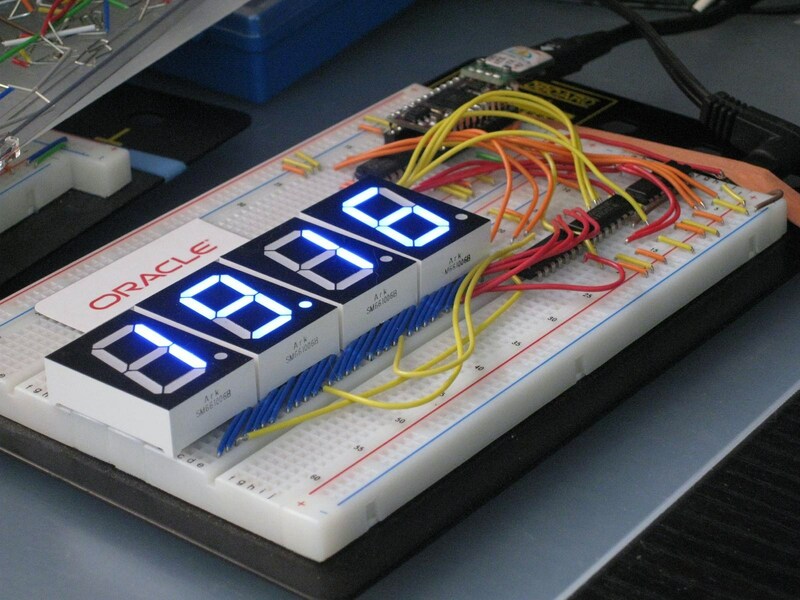 The 4 7-segment blue led displays are multiplexed to just under 30 Hz. 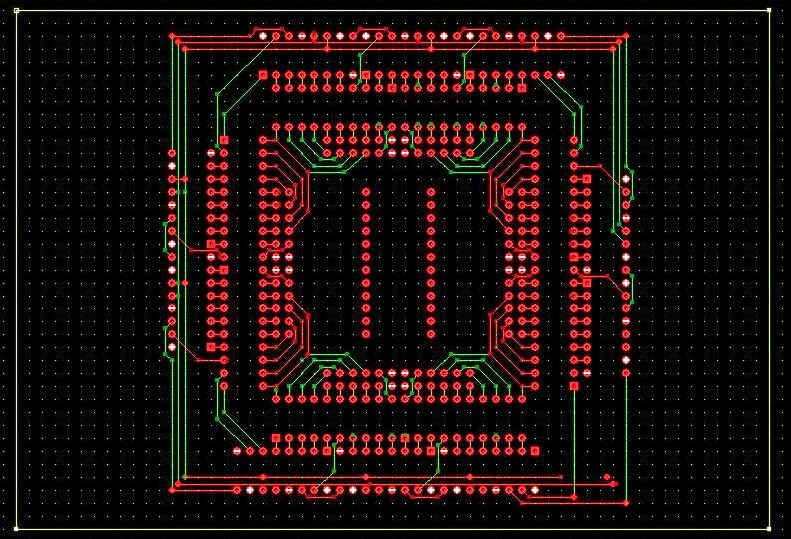 Early prototypes for multiplexing grids of LED matrixes - 8x32x2 (512) Red/Green LED display grid - quad multiplexed by TTL 74HC154 1-16 mux and Parallax Basic Stamp 2 microcontroller. 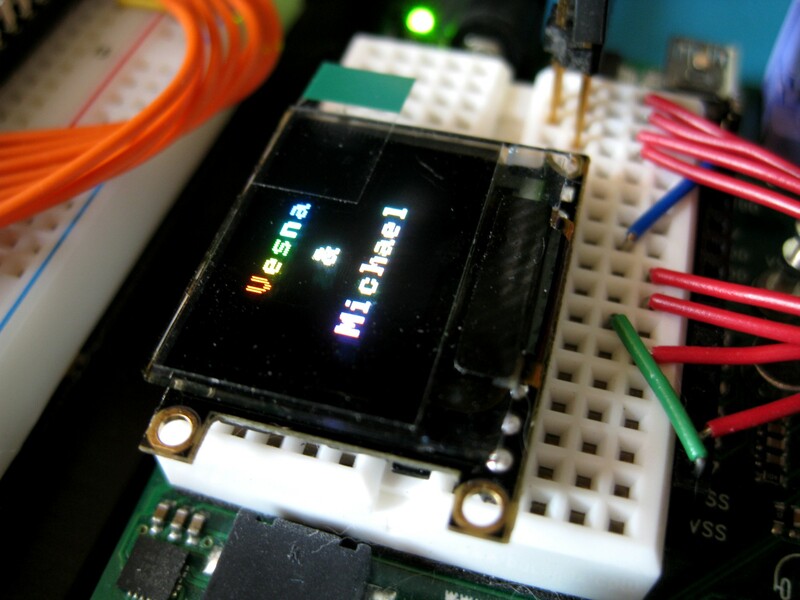 Cellular Automata simulator in hardware that started out using discrete TTL computation - but migrated to using the Parallax Basic Stamp for transition sequence logic. Motion Computing LE1600 & LS800, HP TC1100 tablet/slate issues. This is an illustration of the computation of the Minimum Spanning Tree using a Preflow-push algorithm. This is the classic Game of Life devised by John H. Conway that uses Gosper's glider guns in a 2-dimensional 2-state version of E. F. Codd's 8-state version of John Von Neumann's 29-state Universal Cellular Automata system.